During his presidential campaign, Donald Trump had vowed to transfer the US Embassy in Israel from Tel Aviv to Jerusalem, however, when he came to office, no such move followed. According to Reuters citing unnamed US officials, President Donald Trump is expected to deliver a speech next week, recognizing Jerusalem as the Israeli capital, in a controversial move that could further ignite tensions in the Middle East. However, no confirmation from the White House or State Department immediately followed. The media speculations come in the wake of Trump's campaign pledge to transfer the US Embassy in Israel from Tel Aviv to Jerusalem, which he hasn't fulfilled when becoming president. After Trump signed the waiver to delay the embassy's relocation plans for six months in June, the White House said that the measure does not mean backtracking on the promise, and the US president still intends to follow through on it. According to US Ambassador to the UN Nikky Haley, this issue "is a matter of time." Commenting on the waiver, Trump earlier stated that he would like to try to establish peace between Israel and Palestine before moving the US embassy from Tel Aviv to Jerusalem. The Jerusalem Embassy Act of 1995 mandated that the US mission be relocated from Tel Aviv no later than May 31, 1999, but every president since Bill Clinton has signed a presidential waiver every six months to avoid moving the embassy. 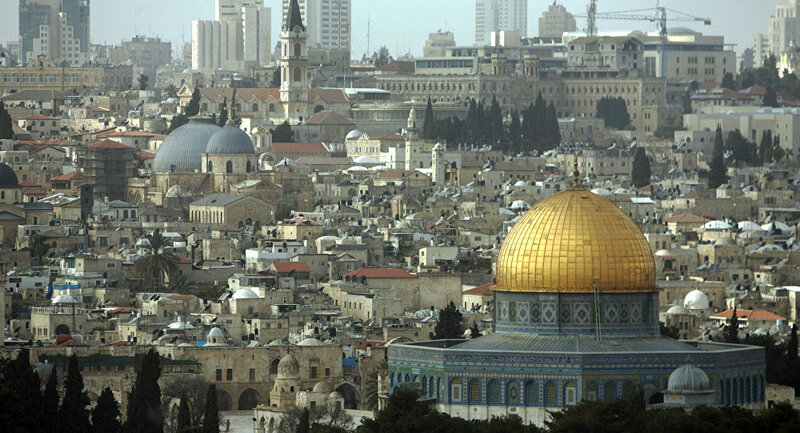 The international community does not recognize Israel's claim on the entire city, largely considering eastern Jerusalem, including the Old City, to be part of Palestine. Previously, many world officials, including EU foreign policy chief Federica Mogherini, as well as representatives of Paris and Tehran, have warned Trump against relocating the embassy to Jerusalem, saying that the decision will further complicate the Israeli-Palestinian peace process. Palestinians are seeking to create an independent state on the territories of the West Bank, including East Jerusalem, partially occupied by Israel, and the Gaza Strip, and want Israel to withdraw from the Palestinian territories it took after the Six-Day War in 1967.